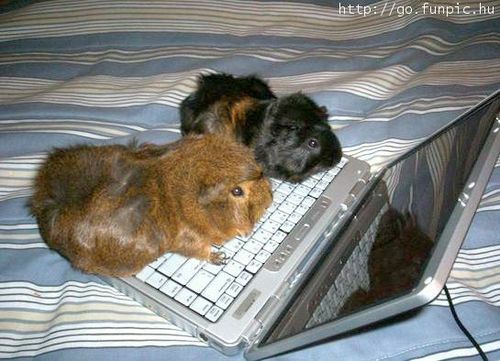 Guinea pigs. . Wallpaper and background images in the Guinea Pigs club tagged: guinea pig laptop. This Guinea Pigs photo might contain लैपटॉप and लैपटॉप कंप्यूटर. That has got to be the cutest picture I have ever seen.